Fushimi Port was an important center for water and land transportation. Fushimi spring water used for sake brewing, Uosaburo cooked for the residences of the feudal lords of each clan. 250 years later, the ninth family head continues with tradition. and even now, only the very best parts of the fish are used. 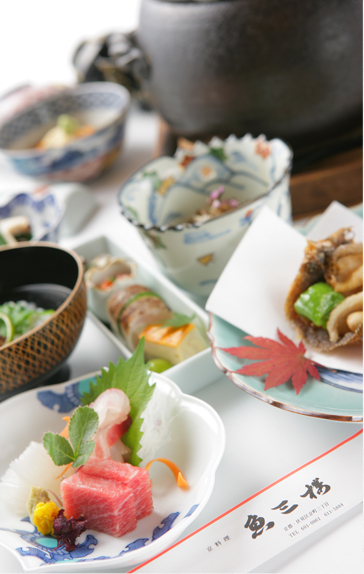 Kyoto's traditional vegetables, renowned for their taste, are carefully selected. 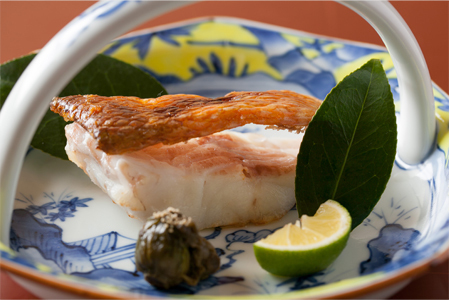 brings together the taste of the dashi soup stock, the essence of Japanese cuisine. 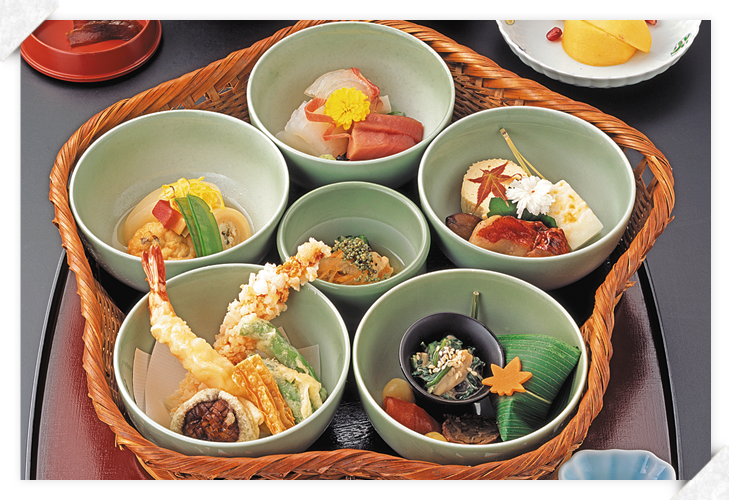 Please enjoy the taste of our traditional dishes. Towards the end of the Edo period, this area became the main side of the Battle of Toba-Fushimi. Kyo-machi-dori street suffered from the ravages of war. At the entrance, a bullet hole remains untouched, telling the tale of that time. ※Menu may be changed due to its season. ※You will be charged 15% service fee. ※Private Room fee will be charged on weekends and public holiday. ※We are happy to have a special meal order. 1 min. walk from Keihan Fushimi Momoyama Stn. 2 min. walk from Kintetsu Momoyama Goryo-mae Stn. 10 min. walk from JR Momoyama Stn. 5 Japanese rooms from small to large,for 2 to 60 guests.